I wanted something easy to put up and easy to take down. Also something portable so I could move them where needed without any trouble. 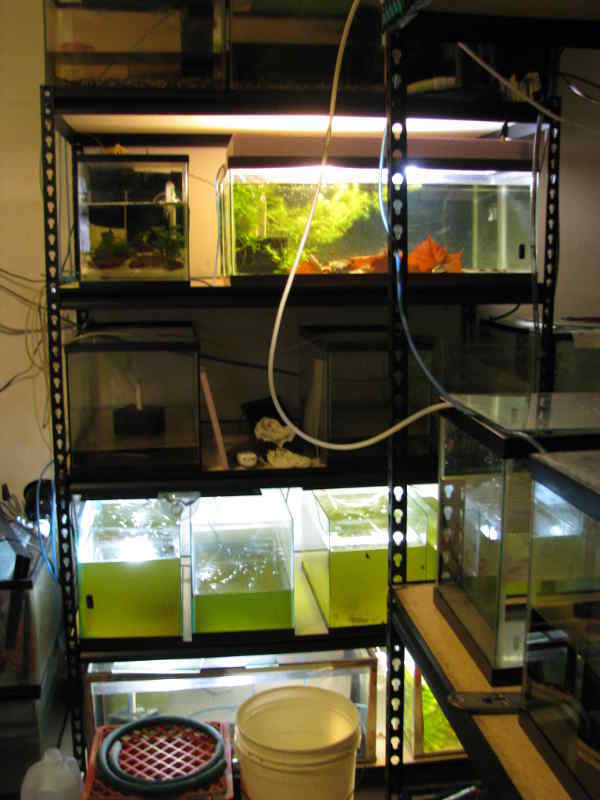 I purchased two of the Edsal 48″W x 24″D x 72″H Steel Shelving units to use as my portable tank racks. 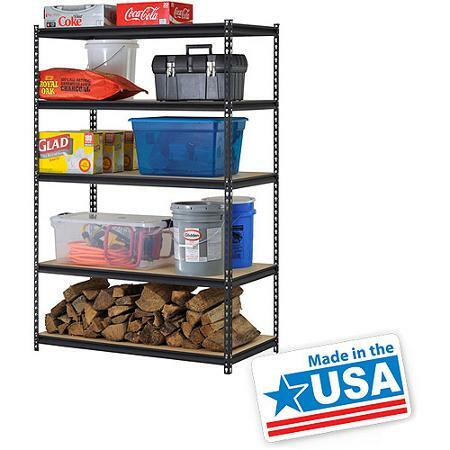 These shelves are made in the USA and rated at 800 lbs per shelf or 4000 lbs total. I’ve had these in service for a couple of months now and I’m pleased with them. They are very easy to reconfigure if you need to move the shelf spacing around, and they are fairly light weight so they are easy to move around in the room. If I were buying permanent racks, I would have spent more and gotten a more heavy-duty rack, but for what I’m using these for, they work perfectly! Did you seal the particle board shelves to help protect them from water damage? They were very thin so I replaced them with 3/4 inch #2 pine boards. I do have several ‘home built’ racks that have 3/4 inch MDF shelves that are NOT sealed and they have been in service for many years. I try to keep the humidity down in the fish room and not spill or splash too much water around. Previous Previous post: An early escape…..